2018 is taking shape as a robust year for travel to Europe, particularly during the summer months. A surge of new nonstop routes from the U.S. and Canada, not only from legacy carriers like Delta and Air Canada but also from discount powerhouses such as Norwegian Air, ensure competitive flight deals. Yet cheap tickets for Europe 2018 trips are far from the only reason to pack a bag. A more crowded and diverse flight market means easier access to emerging destinations across Europe—hello, Budapest and Porto. In off-the-beaten-path places from the Balkans to British Isles, locals take great pride in sharing their culture’s unique customs, language, cuisine, and natural wonders. Whether your journey veers under the radar or beelines to hotspots, remember that European life and culture is best when savored. There’s no way to see and do it all, so don’t twist yourself—or the locals you encounter—into a frenzy by trying. Slow your pace and delve into what makes a destination unique and you’ll experience the essence of Europe, one delicious moment at a time. Here’s what you need to know before taking flight on your Europe 2018 journey this summer. Do you know your passport’s expiration date? Every summer, big travel dreams are dashed due to that small print. For travel within the 26 border-free countries of Europe known as Schengen Zone, your passport must be valid for at least three months beyond your intended date of departure—and that bit is tricky. Since U.S. passport holders can travel visa-free for 90 days within Schengen, technically your passport should have six months of validity. The U.S. State Department expects a surge in renewals and new applications this summer and warns the process could take up to six weeks for routine service, three weeks for expedited service (which can be well worth the extra $60). Don’t have a passport? Check for passport fairs across the country. You can experience a Bordeaux-fueled lunch in France, hop a few trains, then enjoy a Basque-style dinner of small pintxos plates in San Sebastian with nary a border check, thanks to the above-mentioned Schengen. Keep in mind, however, not all countries in Europe are part of the agreement. Expect checks and stamps when traveling from the zone to Europe’s hottest summer destination Croatia, along with these other non-Schengen EU countries: United Kingdom, Ireland, Bulgaria, Cyprus, and Romania. Keep in mind that border checks can be reinstated at any time within Schengen and be sure your passport has enough pages to cover potential new stamps (jetsetters without ample space for entry and exit stamps may be denied entry). Nashville has more to sing about with nonstop service to Europe in 2018—for the first time in twenty years, the city has a new British Airways flight to London. And Philadelphia has more love to share with new direct flights to Prague and Budapest via American Airlines. Air Canada, meanwhile, makes emerging destinations easily accessible with nonstop flights from Toronto to Bucharest, Zagreb, and Porto; and between Montreal and Lisbon. Bare-bones and budget-friendly Norwegian Air continues to introduce new routes to Europe in 2018, including nonstop service to London from Austin and Chicago. Lufthansa’s subsidiary Eurowings glides into the discount-fare space with nonstop flights from New York and Miami to Dusseldorf, and Las Vegas and Seattle to Cologne. West Coasters are enjoying more options and better fares too, with new services including Iberia’s new nonstop from San Francisco to Madrid. First-time travelers to Europe are surprised by how easy and cheap travel is between European countries. From big players like Irish powerhouse Ryanair and British EasyJet to newcomers like Romania’s Blue Air, dozens of carriers connect nearly every inch of Europe, offering eye-popping deals. Skyscanner, a platform that enables flight searches by country, is a handy place to begin research for Europe 2018 short-hop flights. In summer, ferries ply the water connecting bustling mainland port cities and island paradises throughout the Mediterranean, making travel easy even in the busiest months. Corsica Ferries offers the chance to travel in style from the French Riviera to Spain’s Balearic Islands with a new route from Toulon, France to Mallorca, Spain, complete with private onboard cabins. Overnight ferries crisscross the Adriatic during summer, connecting Italian port cities like Ancona and Venice to the action-packed beaches of Croatia and Montenegro. Jadrolinija Ferries runs a popular route from Bari, Italy, to Bar, Montenegro, in nine hours. Most ferry services offer options for open (deck or lounge) seating, airline-type seats, or semi-private and private cabins. Not all ferries are created equal, and some become a floating party scene in summer’s height, so be sure to research reviews before booking. Watching villages and countryside roll by a train car’s expansive window feels like meditation with sights around every bend. Inexpensive, convenient, and comfortable—and blissfully free of long check-in and security lines—the reasons to travel by train are as plentiful as the tracks crisscrossing the continent. Most exciting for this summer is Eurostar’s new route from London to Amsterdam in just over four hours, with premium perks including free Wi-Fi, food, and drinks. Also noteworthy is new service from Trenitalia that will connect two of Europe’s most fascinating cities with a line from Slovenia’s capital of Ljubljana to northern Italian jewel Trieste. For covering major distances, night trains offer great value and a unique experience. The summertime-only Berlin Night Express takes travelers on a 10-hour journey to the north of Germany, where the entire train is loaded onto a ferry to cross the Baltic Sea to Sweden, where the train journey resumes. 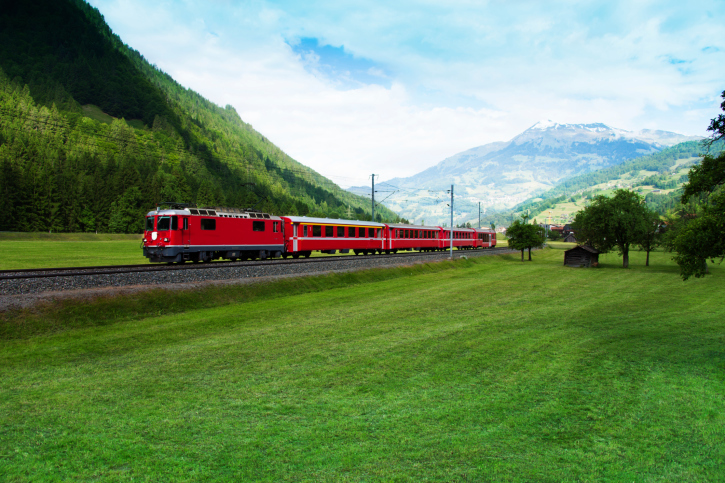 For multi-country travel, visit Eurail and Rail Europe. Individual countries also operate services. Paris is abuzz with the unveiling of the Rem Koolhaas-designed Marais arts center Lafayette Anticipations, featuring its first group show this summer as well as an innovative digital art immersion at Atelier des Lumières, where current exhibits place visitors within Gustav Klimt masterpieces. Visitors to Florence can experience the juxtaposition of classic and modern with the opening of the city’s first contemporary art gallery, Collezione Roberto Casamonti, in a 500-year-old palazzo showcasing important works by Picasso, Yves Klein, and Paul Klee. And one of summer’s biggest shows is sure to be the Tate Modern’s first ever solo exhibition of the Picasso’s work, in London through September 9. After lengthy (and drama-filled) delays, two important museums open doors this year. The National Museum of Contemporary Art in Athens features works by contemporary Greek artists including George Drivas’ acclaimed installation, Laboratory of Dilemmas. And, Belgrade’s Museum of Contemporary Art recently reopened with the world’s largest collection of Yugoslavian modern art. Undoubtedly, summer’s biggest artistic spectacle in Europe for 2018 will be a 65-foot-tall temporary floating sculpture—composed of barrels—from the artistic team of Christo and Jeanne-Claude. The installation in London’s Hyde Park is free and open to all through September 23. It’s no secret that some of Europe’s most beautiful destinations are in crisis due to over-tourism. This doesn’t mean these spots should be avoided, simply that most are best experienced during non-peak seasons when crowds are thinner, prices cheaper, and locals more inclined to engage. So what are the best lesser-known summer 2018 Europe destinations? 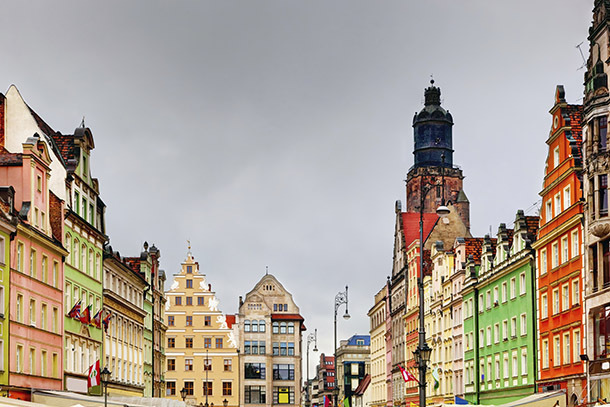 Consider the city recently voted as Europe’s Best Destination for 2018: Wroclaw, Poland. Famous for its picturesque market square and colorful architecture, this fascinating city—composed of 12 islands and 100 bridges—offers visitors fresh perspective on Europe’s history and future. Wine lovers can experience the excitement and accessibility of emerging regions and trails like Bulgaria’s mountainous Mavrud country and Galicia’s lush green Albariño. History buffs never have a shortage of destinations in Europe, but the allure of well-preserved Greek temples of Paestum combined with nearby beaches of Italy’s Cilento coast can be an irresistible combination this summer. Whatever your artistic inclination, there is a 2018 European festival set to lure you to new destinations. Catch Roger Waters live within Tuscan city walls for Lucca Summer Festival, experience world music and dance artistry in a rural UK setting for WOMAD Fest, or check out the world’s oldest book festival in Edinburgh. For over 30 years, the European Union has supported cultural celebration by designating annual European Capitals of Culture. 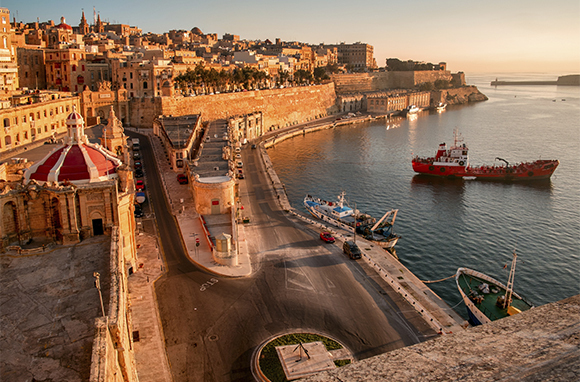 In 2018, two European cities share the honor: Leeuwarden-Friesland in The Netherlands and Malta’s capital of Valletta. Filled with energy and optimism, both cities will showcase a staggering array of cultural offerings, many free and open to all. In Leeuwarden-Friesland, where water is a defining feature, visitors can expect to see 11 new fountains, each of considerable artistic-wow-factor, unveiled this year. The Mediterranean island of Malta, meanwhile, will present 400 events, incorporating over 1,000 artists and performers in what organizers proclaim is the most concentrated cultural activity since the republic’s formation in 1964. Travelers seeking outdoor adventure in Europe during 2018 are visiting in record numbers thanks to new infrastructure projects and outfitters geared toward active vacations. Cyclists can push limits with long distance paths including EuroVelo 6, a 2,700-mile journey traversing 10 countries from the Atlantic to Black Sea. For a shorter, yet no less heart-racing journey, pedal a new path almost 200 feet above the water on Italy’s Lake Garda. 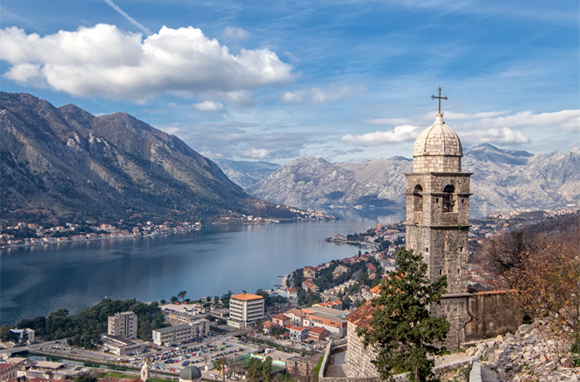 From Austria to Albania, Europe is a hiker’s paradise with trails for every fitness level. Get off the beaten path in the Western Balkans along the Via Dinarica, a 1,200-mile trail through the Dinaric Alps; or take a more leisurely approach with paths connecting villages and vineyards across the Italy countryside from Piedmont to Calabria. Learn to kitesurf on Europe’s southernmost point in Tarifa, free dive off the coast of Madeira, or climb France’s majestic Ceuse; whatever your passion, you will find your thrill this summer. 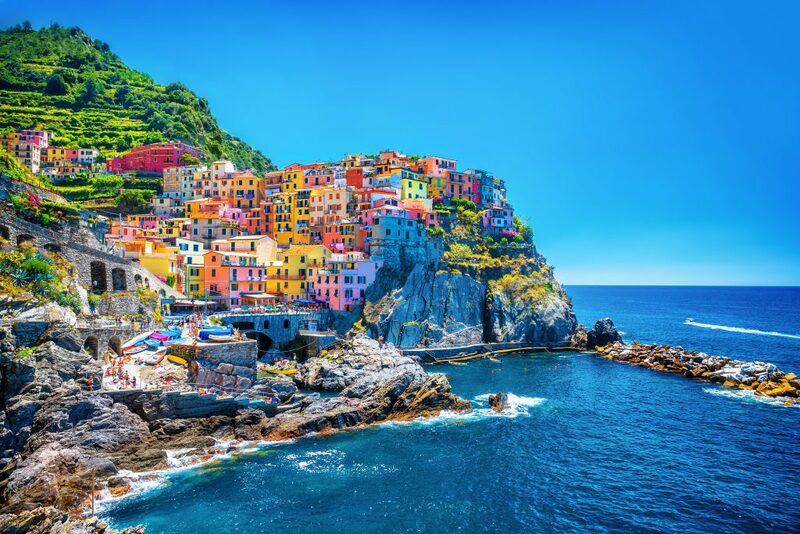 From Cinque Terre to Dubrovnik, some of Europe’s most beautiful and famous places are struggling not only with quantity, but quality of tourism. Every day in summer, busloads of visitors speed through historic town centers as if checking off a list. With just enough time to snap a few Instagram-worthy images and buy a cheap souvenir, the swarm moves from one fragile destination to the next. It’s an unsustainable formula. So can we experience the world’s most fascinating places in a more sustainable manner? Can we as travelers be part of the solution instead of the problem? Will being more mindful of our impact better serve the places we visit—and enhance our own experience? 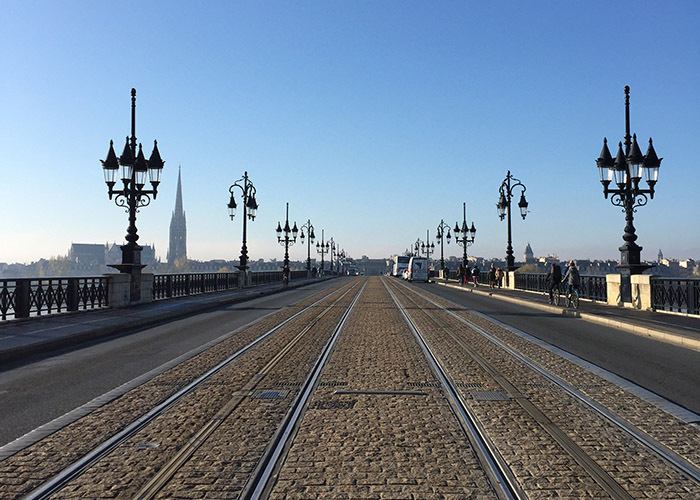 If you believe the answer to each of those questions is yes, as I do, here are some ways for each of us to be better travelers to Europe in 2018.